Last year there were 156 pedestrian fatalities on the streets of New York City representing an increase from 2012 as well as 2011. According to an analysis done by the Daily News of NYPD statistics, there were 7 pedestrian related deaths during the first 12 days of this year and if this trend were to continue it would put us on pace to hit well over 200 fatalities this year. With such an alarming increase of these incidents, Mayor De Blasio and his administration has launched Vision Zero Action Plan, a massive multi-prong and interdepartmental initiative to make the streets of New York City the safest of any big city in the world. This is only the beginning steps of what will be a more comprehensive plan as time progresses and the program evolves. 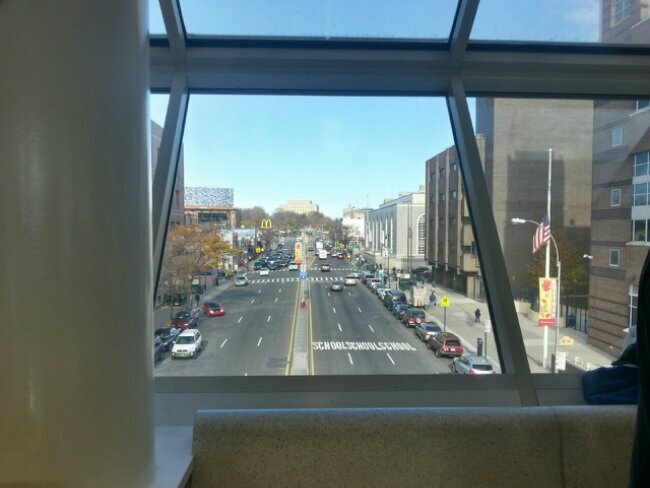 In the Bronx we all know too well that many of our streets are dangerous with cars exceeding speed limits as well as poorly designed crossings across major roadways like the Grand Concourse, Fordham Road, White Plains Road, and the Bruckner Boulevard. Although DNAinfo reported that pedestrian fatalities in the Bronx dropped considerably from 28 in 2011 to 17 in 2012, (it reported no data from last year) still it is 17 too many. 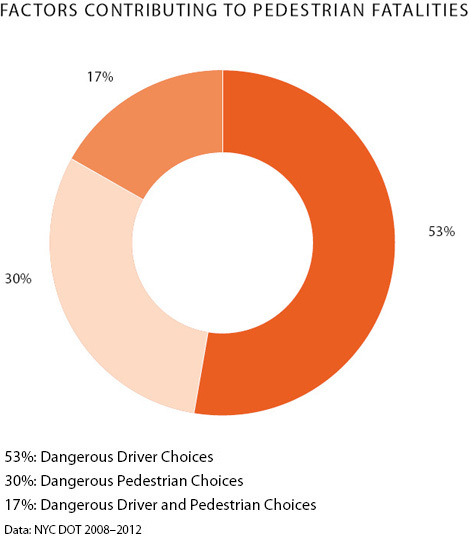 —55% were a result of dangerous driver choices. —37% were a result of dangerous pedestrian choices. —17% were a result of dangerous driver and pedestrian choices. Vision Zero Action plan will establish a permanent Vision Zero task force at the Mayor’s office in City Hall. The plan will pool resourced from City Hall, NYPD, Department of Transportation, Taxi & Limousine Commission, Department of Citywide Administrative Services, Departament of Mental Health & Hygiene, and ultimately we the citizens of New York City to accomplish its goals of reducing pedestrian fatalities. The Vision Zero Action Plan is only a beginning for Vision Zero in New York. It defines the initial steps that the City Police (NYPD) and Transportation Departments (DOT), Taxi & Limousine Commission (TLC), the Department of Health and Mental Hygiene (DOHMH) and other agencies will take. These initiatives will be continually analyzed for their effectiveness. Other innovations will be sought and added. —Lead a state legislative campaign to give the City the power over the placement of speed and red-light cameras, the power to reduce the citywide speed limit to 25mph, and to increase the penalties associated with dangerous driver behavior. Bookmark Vision Zero’s website so you can remain up-to-date with any information they may disseminate.